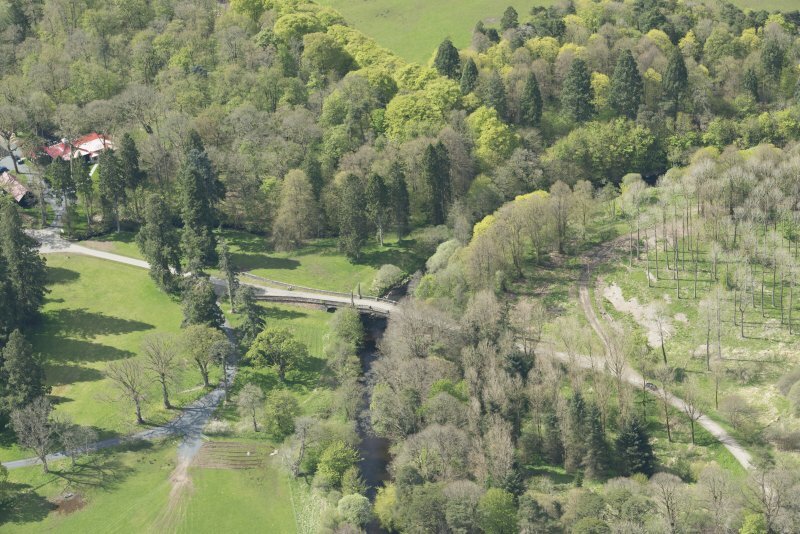 Oblique aerial view of Dumfries House Avenue Bridge, looking to the ESE. 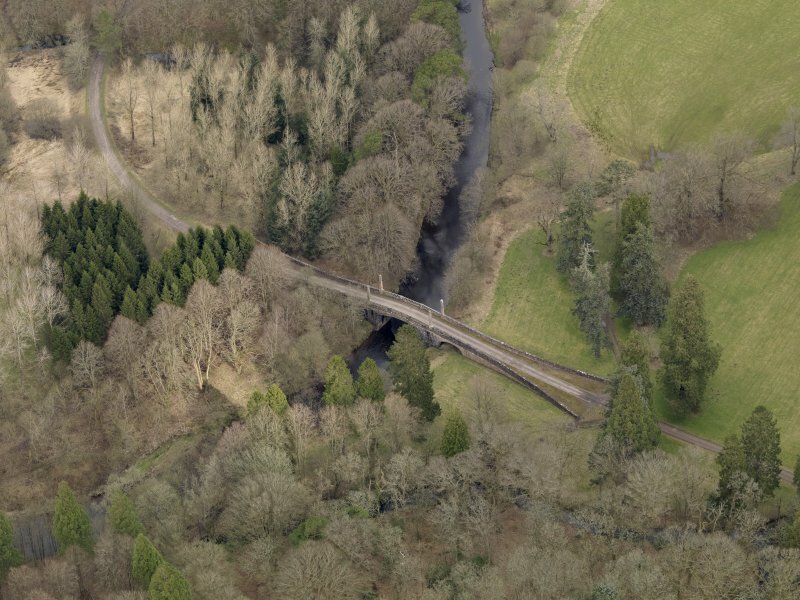 Oblique aerial view of Dumfries House Avenue Bridge, looking to the SW.
Oblique aerial view of Dumfries House Avenue Bridge, looking to the WNW. 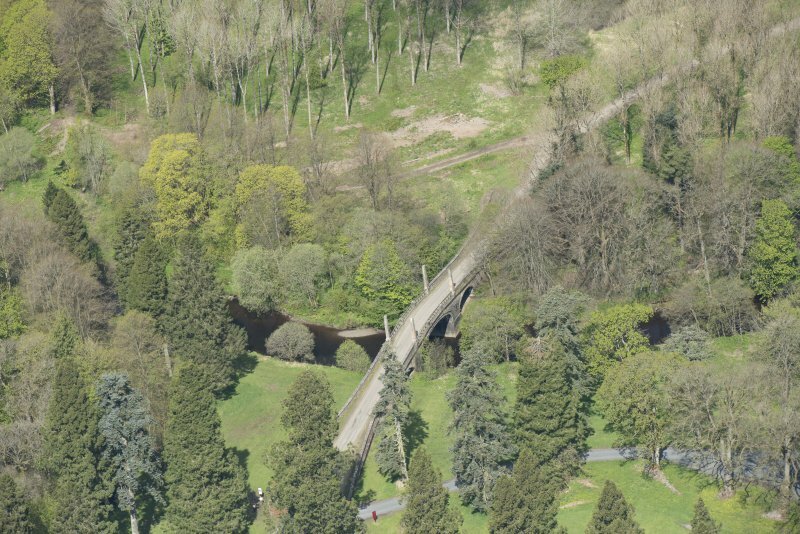 Oblique aerial view of Dumfries House Avenue Bridge, looking to the NNE. 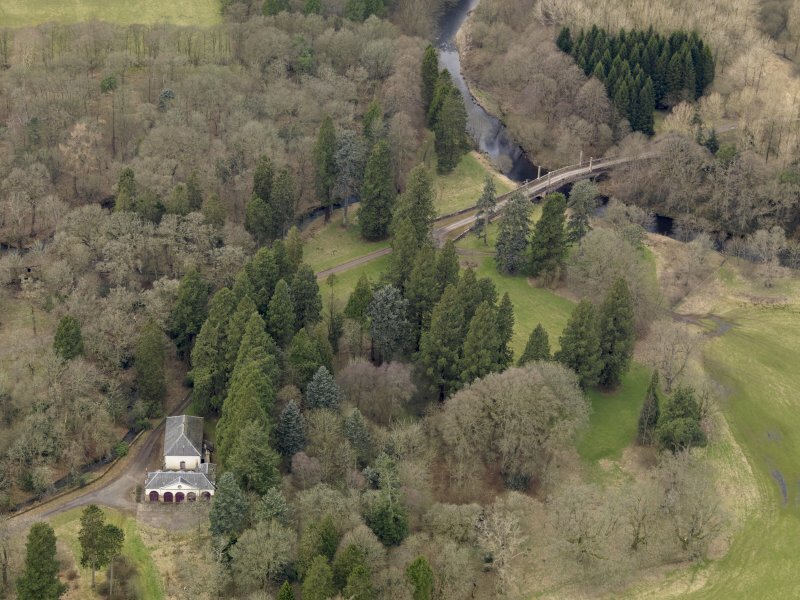 Oblique aerial view centred on the coach house and stables with the Avenue Bridge adjacent, taken from the SE. 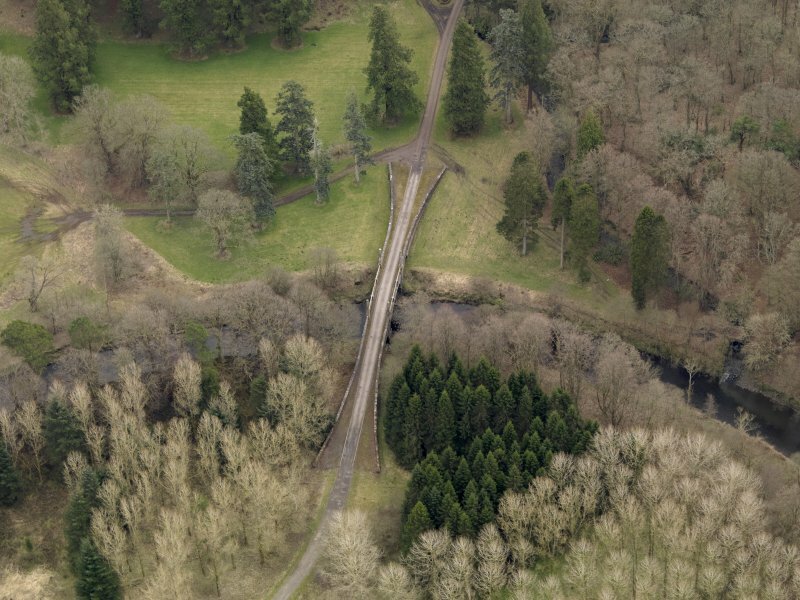 Oblique aerial view centred on the Avenue Bridge adjacent, taken from the E.
Oblique aerial view of Dumfries House Avenue Bridge, looking to the NW. 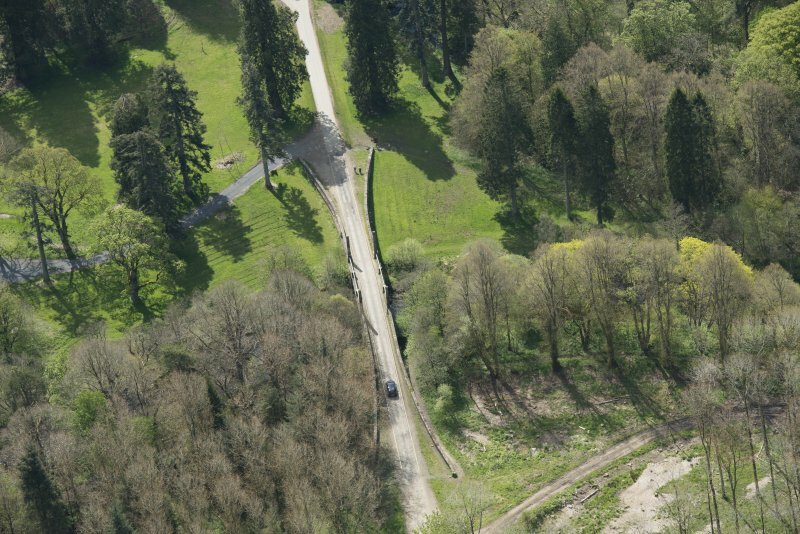 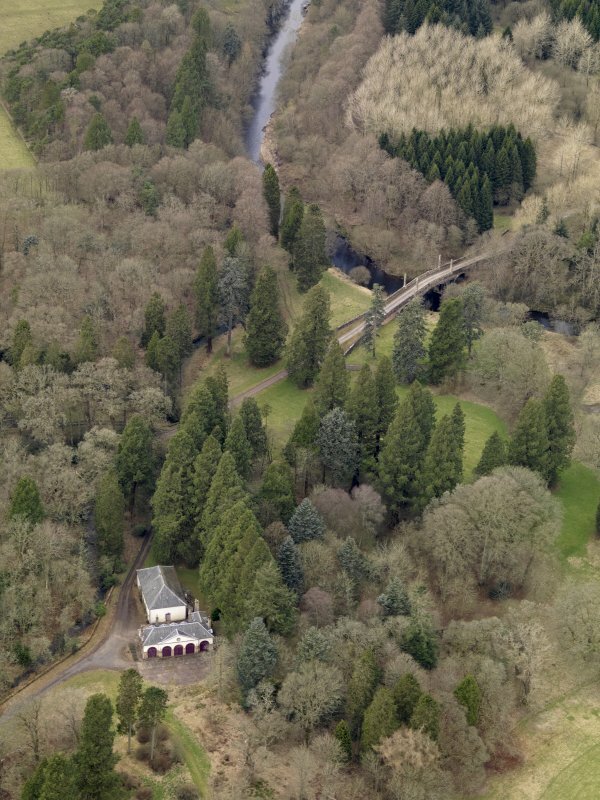 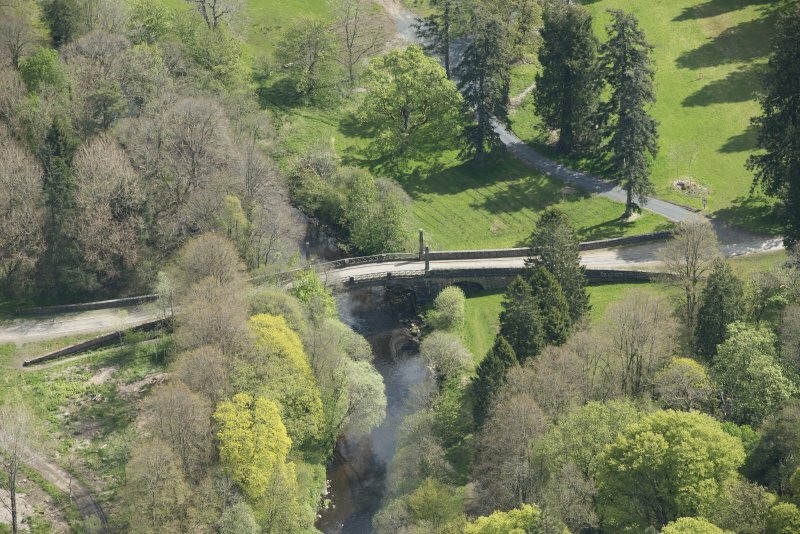 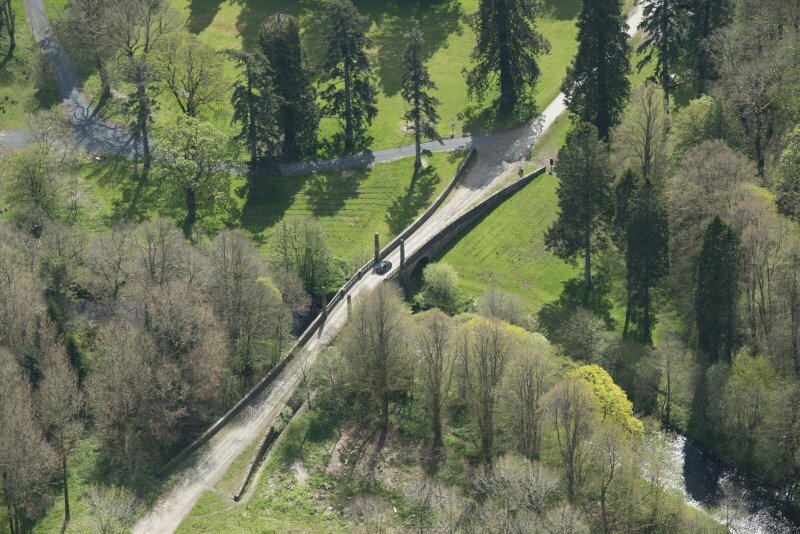 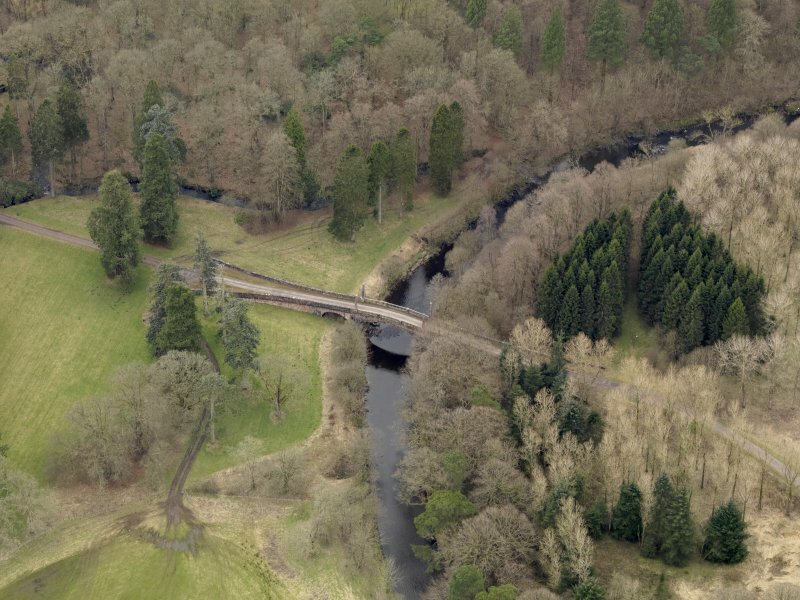 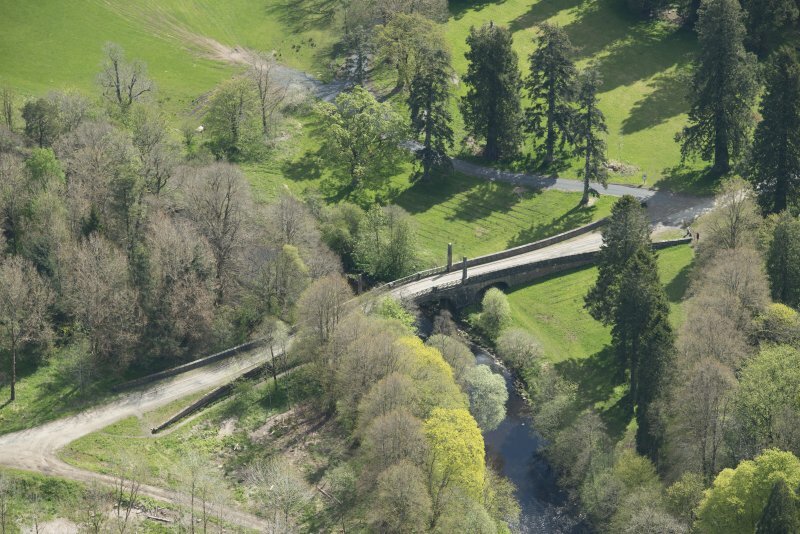 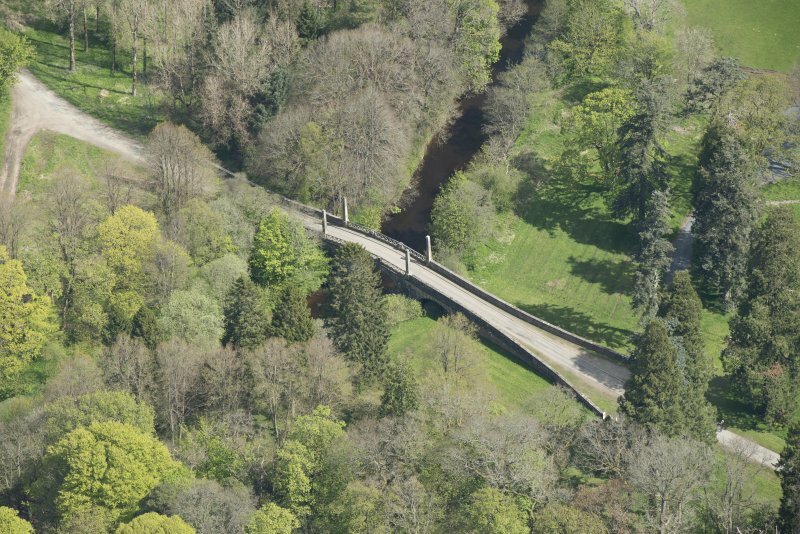 Oblique aerial view of Dumfries House Avenue Bridge, looking to the ENE. 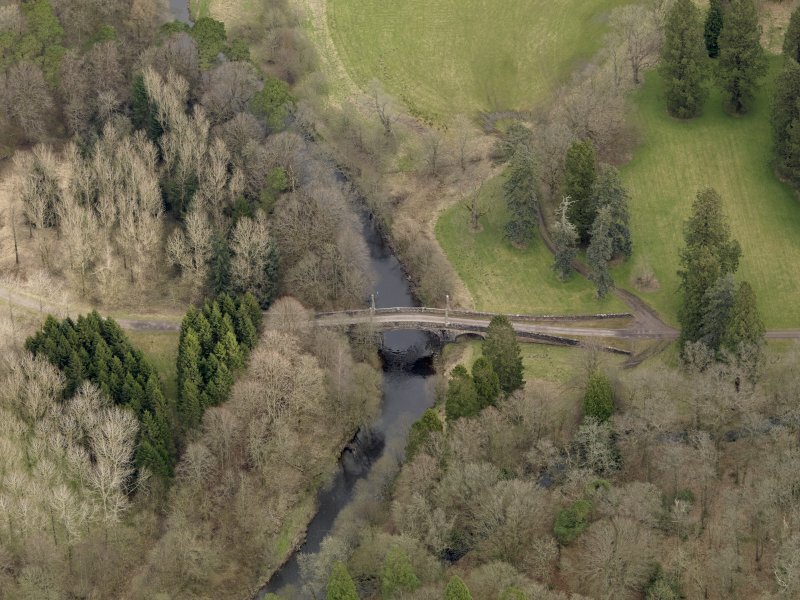 Oblique aerial view of Dumfries House Avenue Bridge, looking to the E.
Oblique aerial view of Dumfries House Avenue Bridge, looking to the SSE. 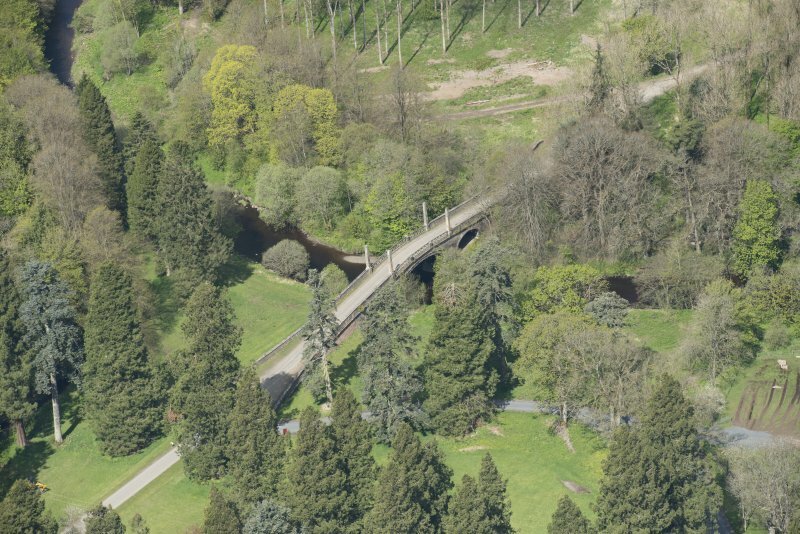 Oblique aerial view centred on the Avenue Bridge adjacent, taken from the ENE. 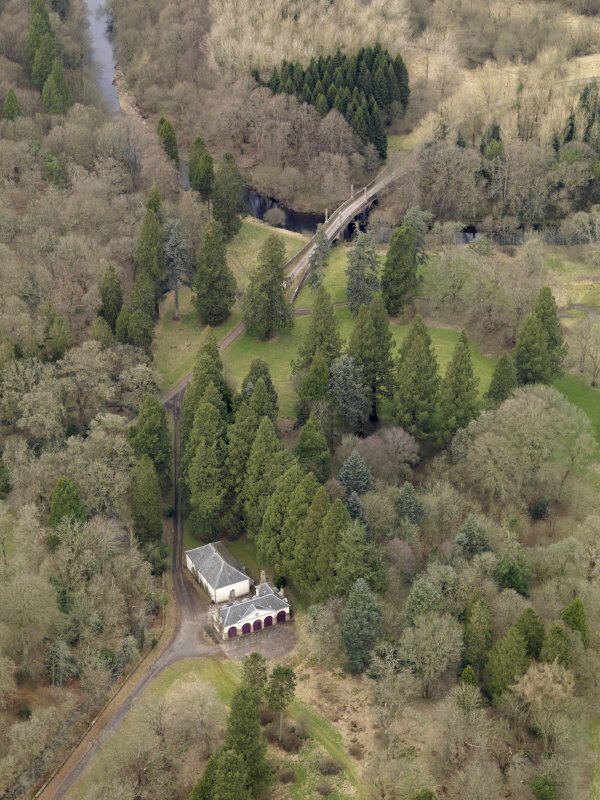 Oblique aerial view of Dumfries House Avenue Bridge, looking to the NNW. 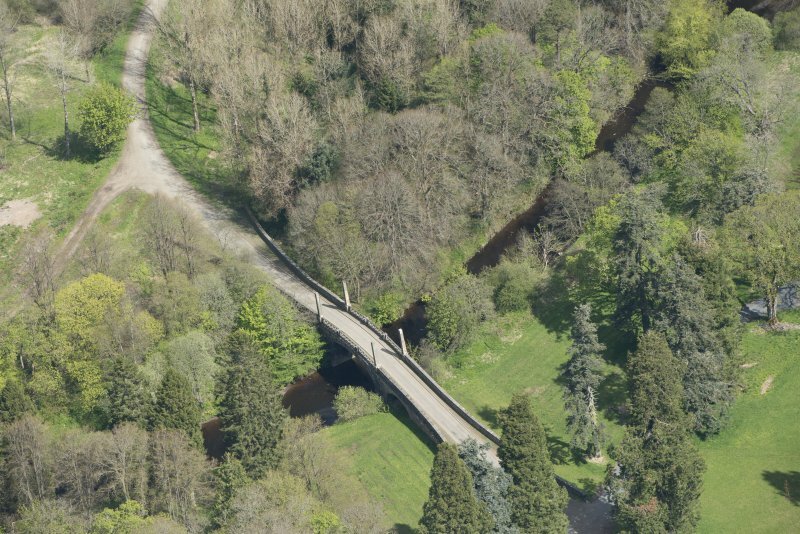 Oblique aerial view centred on the Avenue Bridge adjacent, taken from the NE. 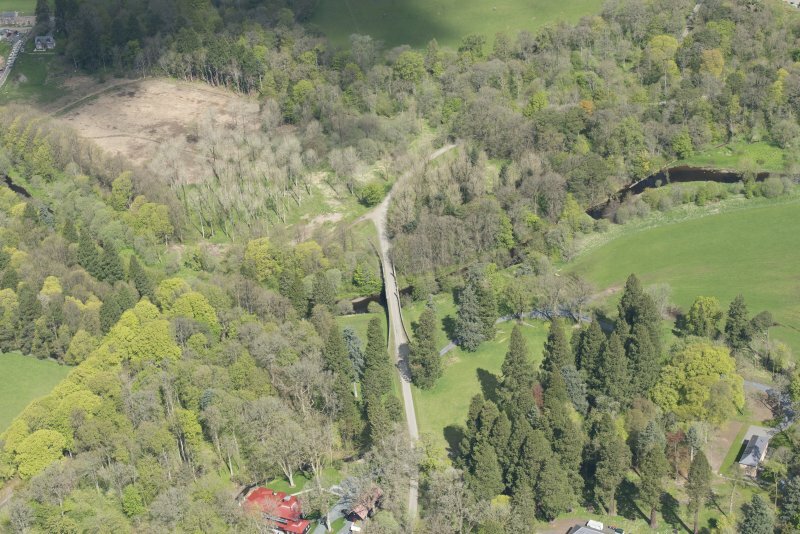 Oblique aerial view centred on the Avenue Bridge adjacent, taken from the NNW. 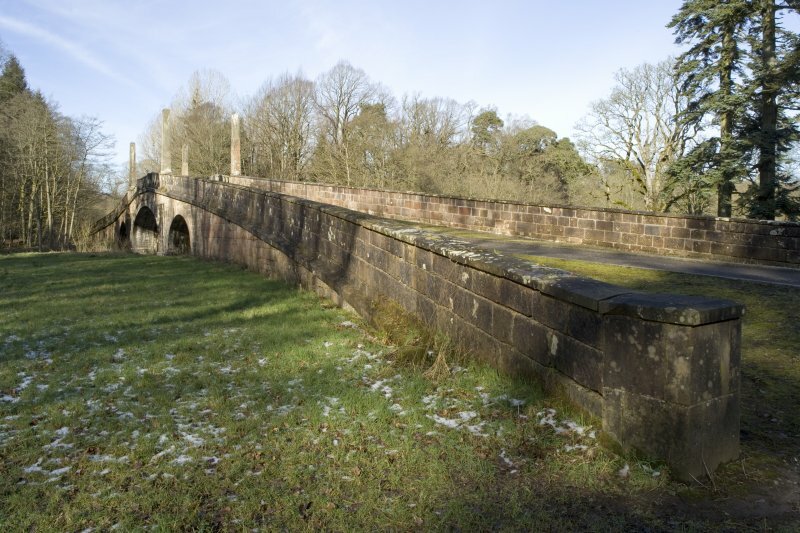 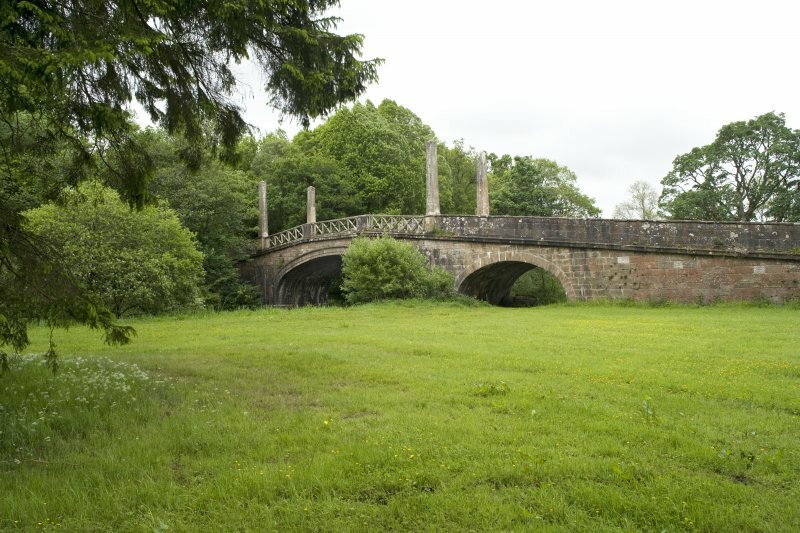 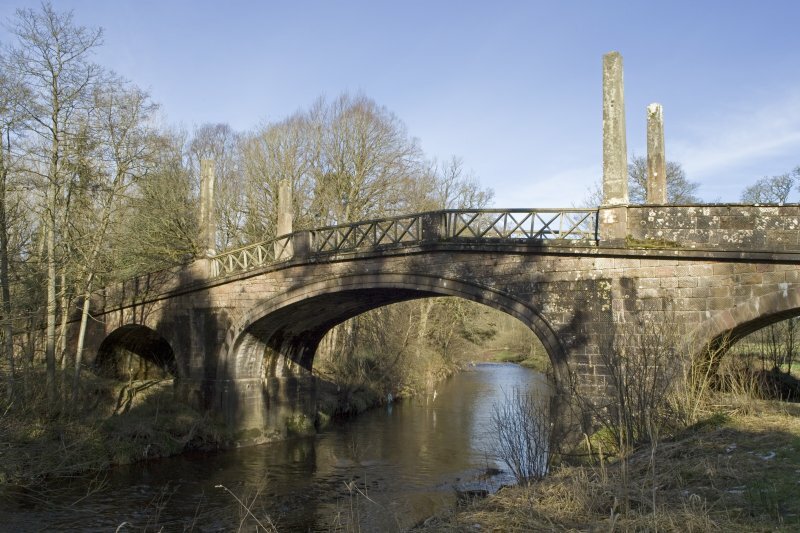 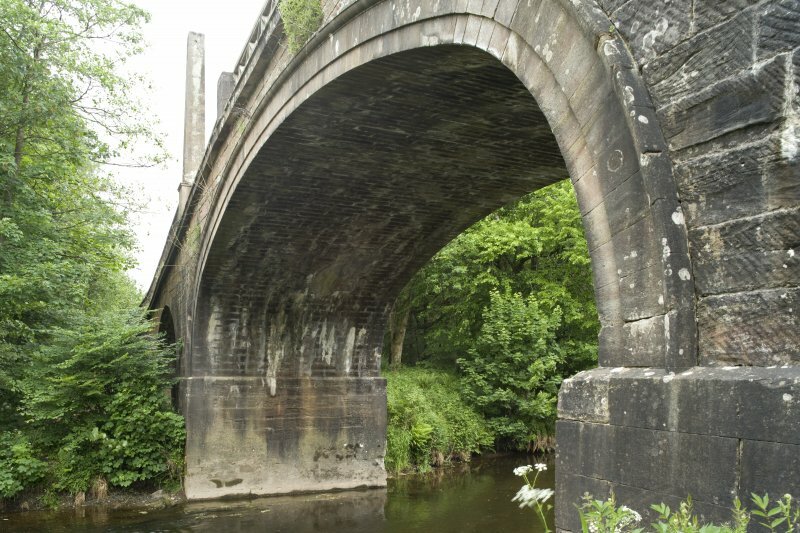 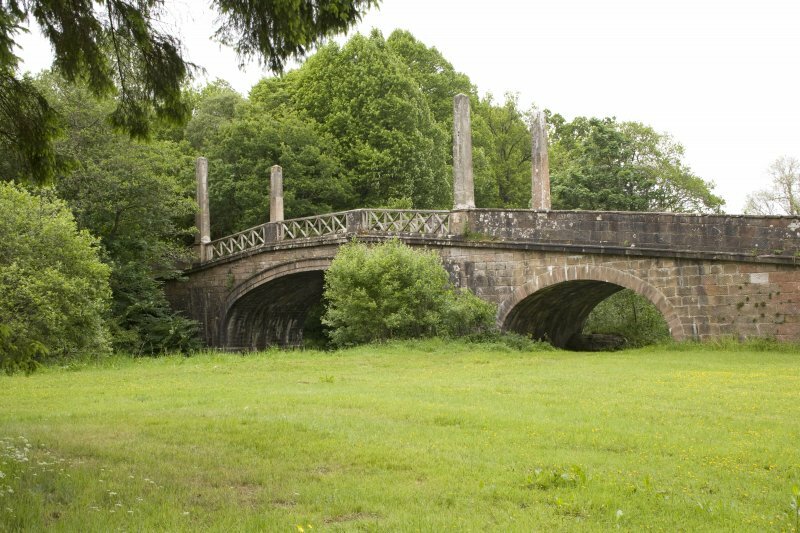 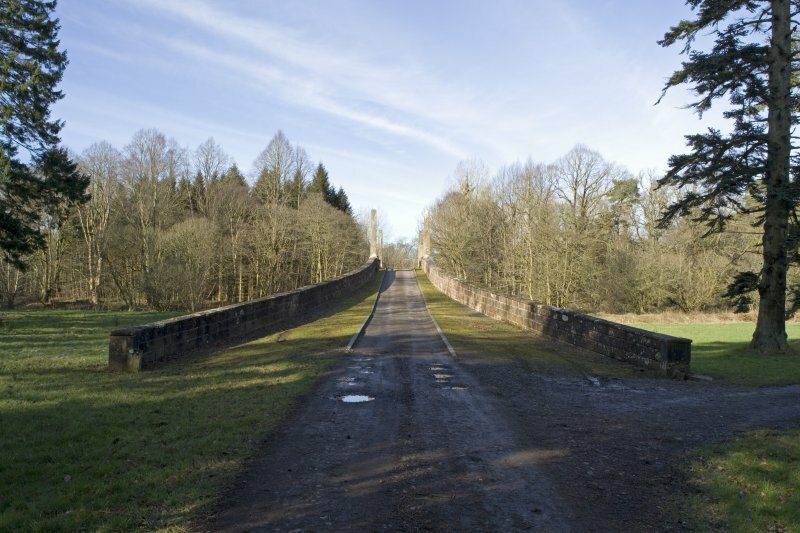 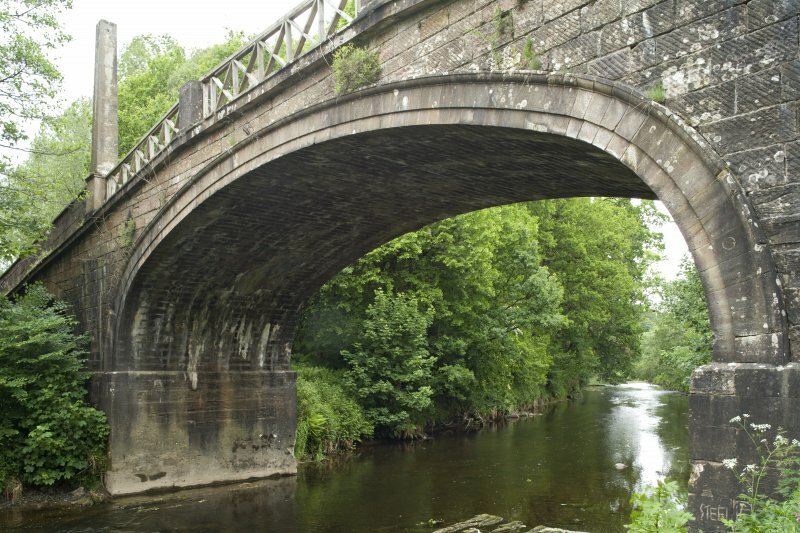 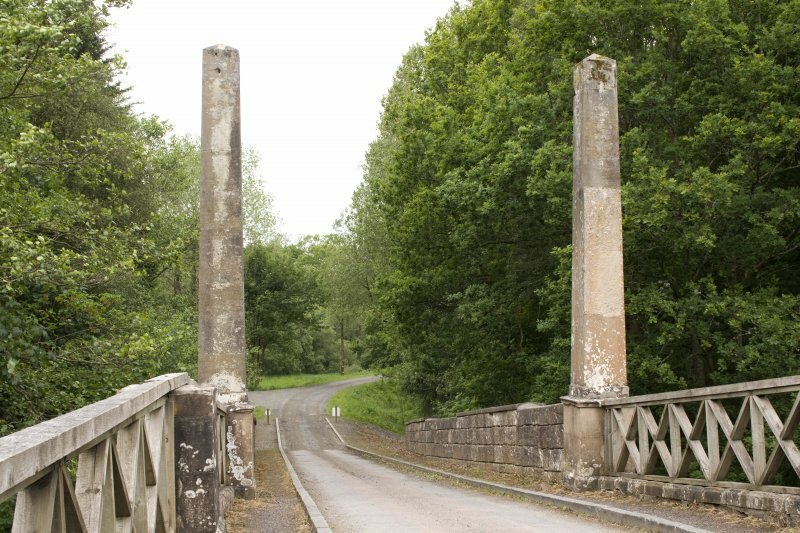 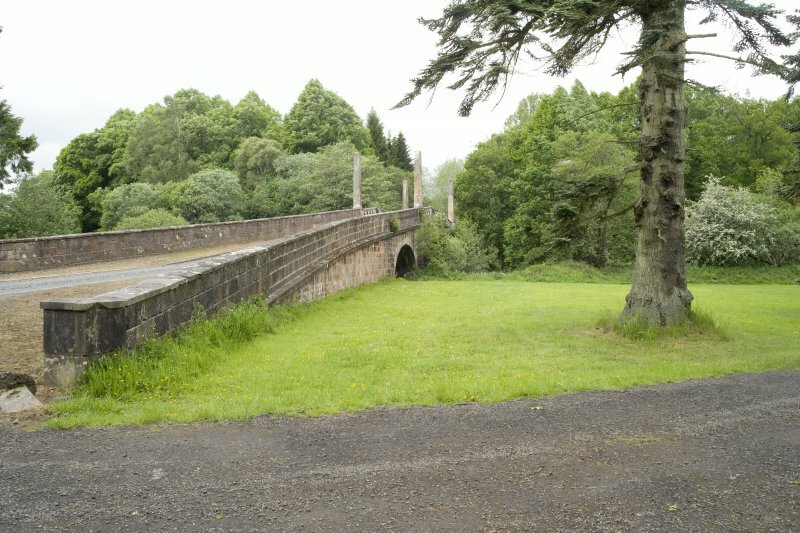 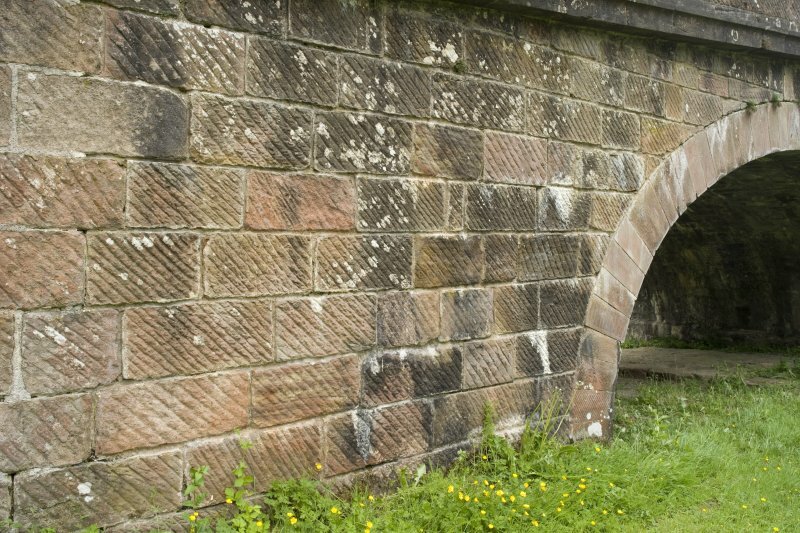 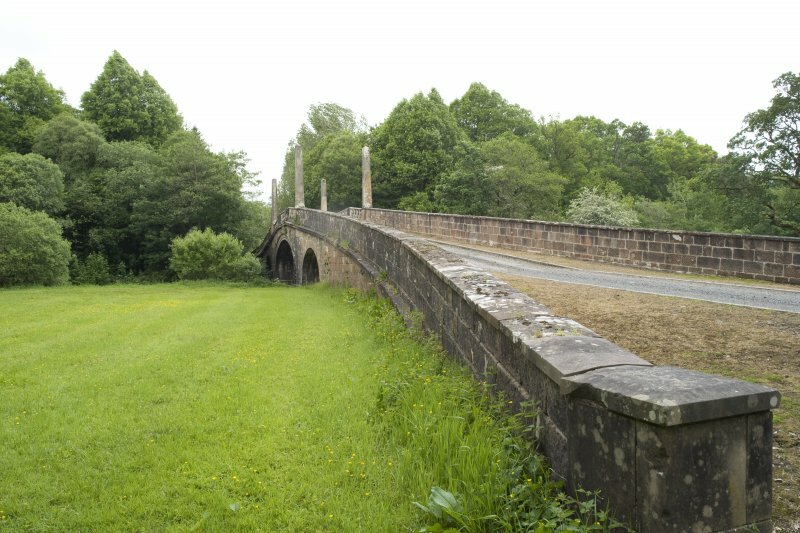 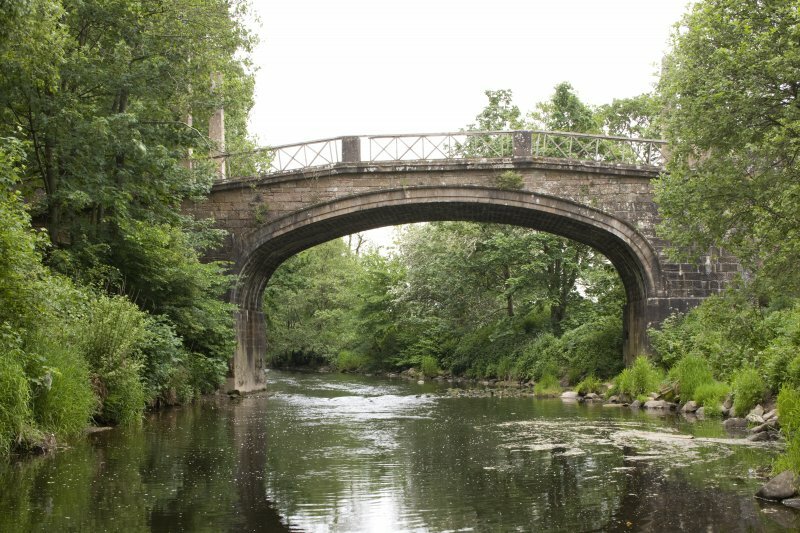 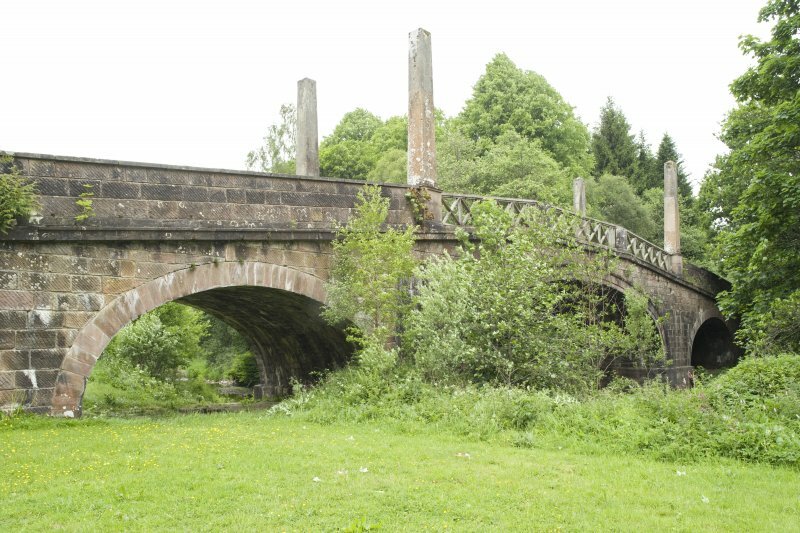 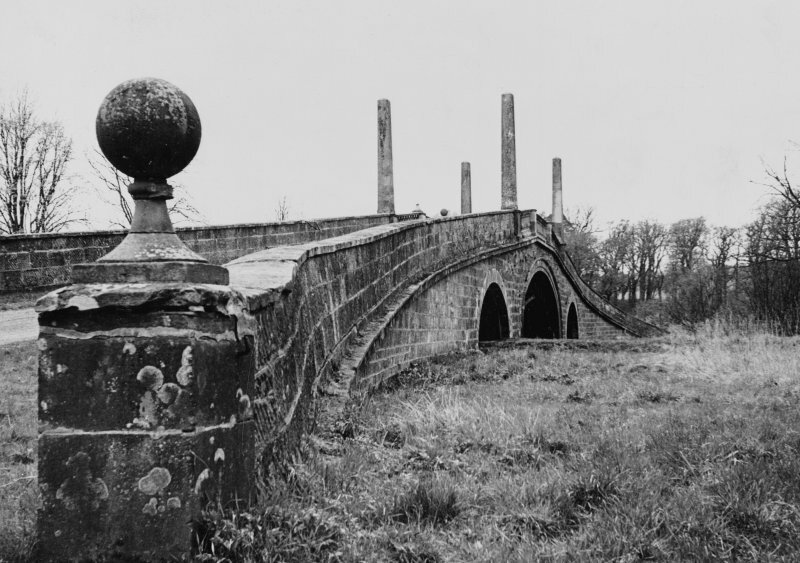 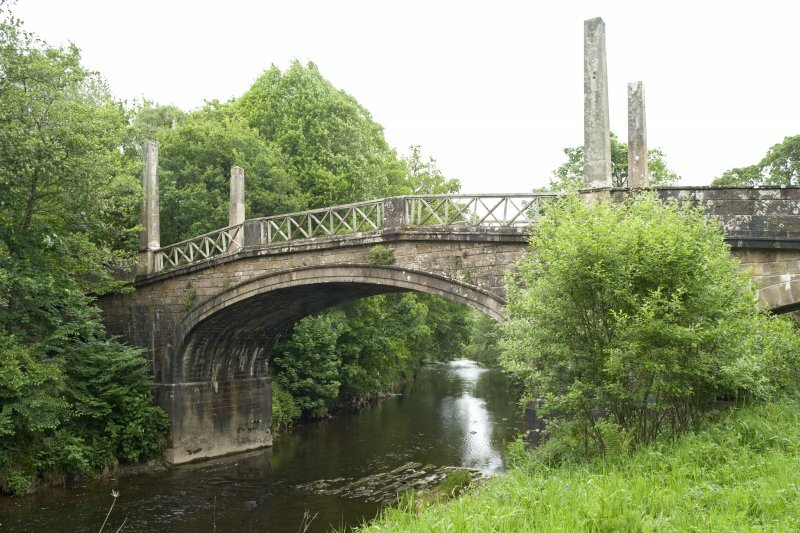 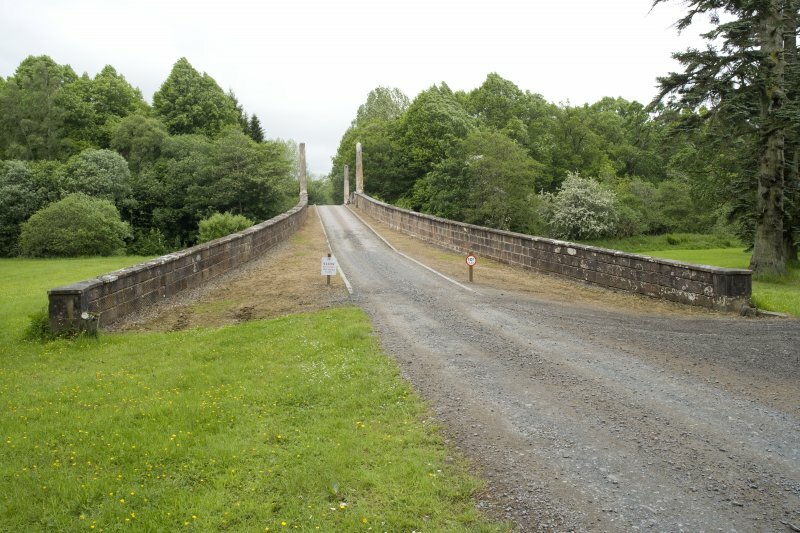 The bridge was recorded as part of the Threatened Builsdings Survey of Dumfries House in 2010. 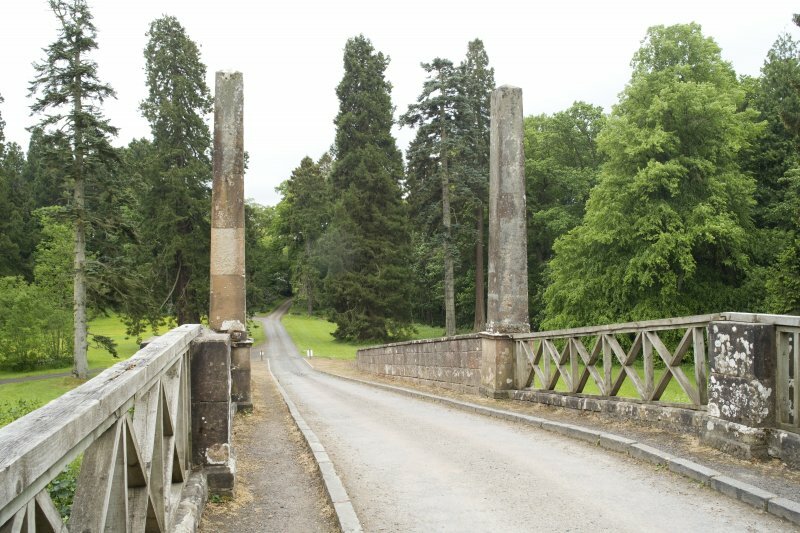 It was designed by John Adam in 1760 as part of the main approach to Dumfries House from the north. 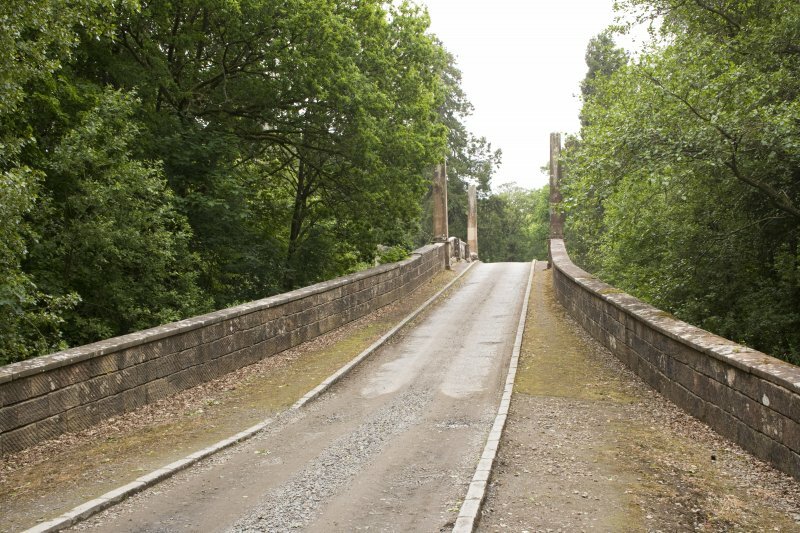 Since the bridge was recorded the original balustrade has been restored and the bridge repaired. 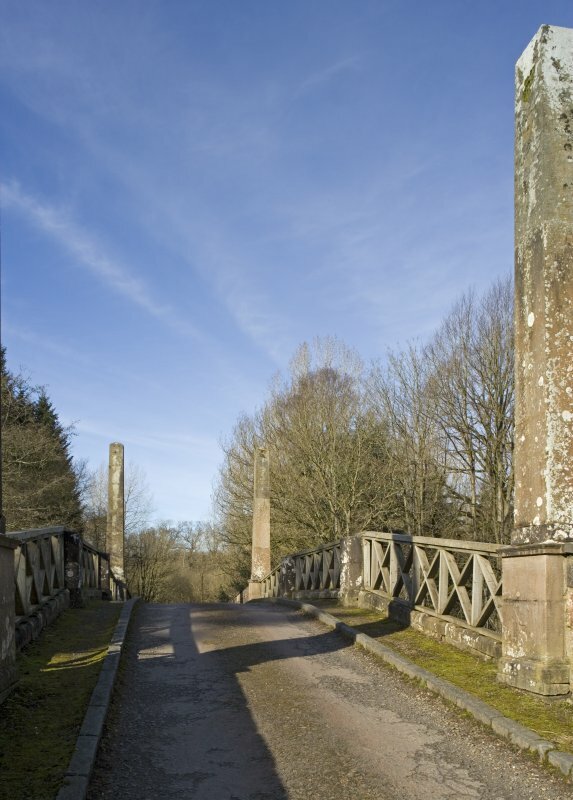 For more in formation see RCAHMS publicartion Dumfries House , an Architectural Story. 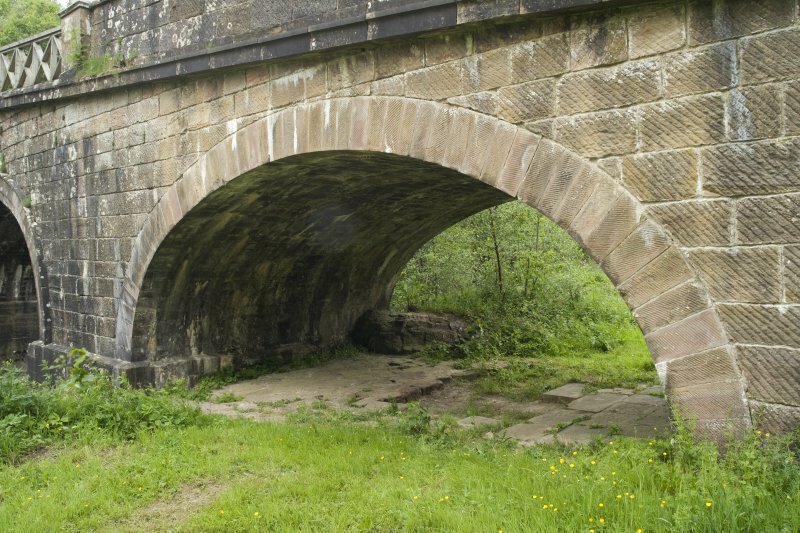 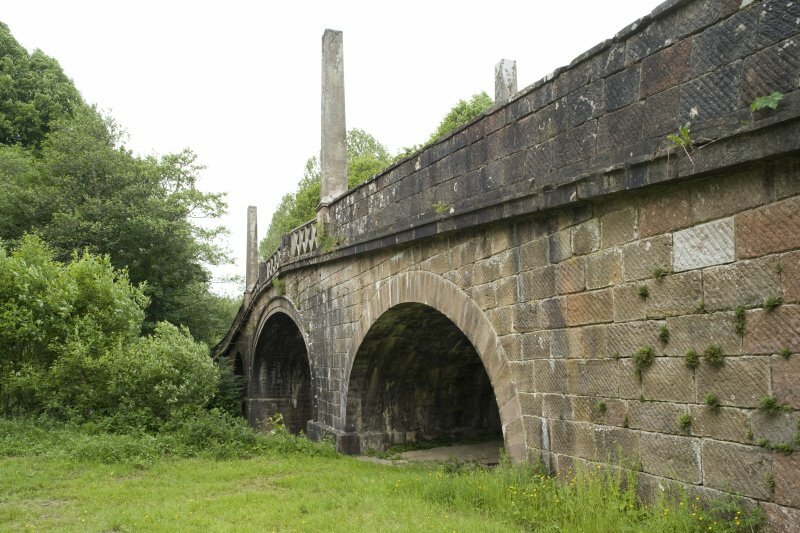 (NS 53796 20646) Avenue Bridge, over the Lugar Water: Three arches with approach ramps. 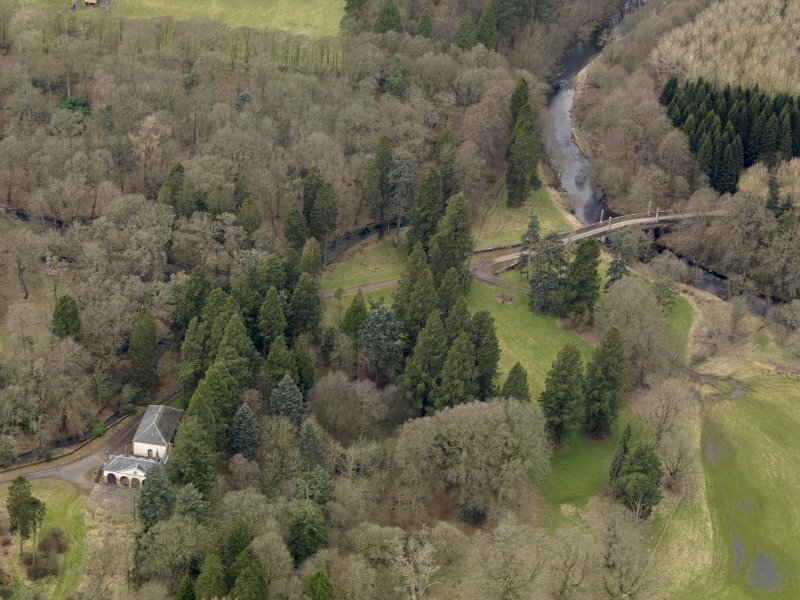 A impressive design contemporary with Dumfries House (NS52SW 12, built 1754-9). 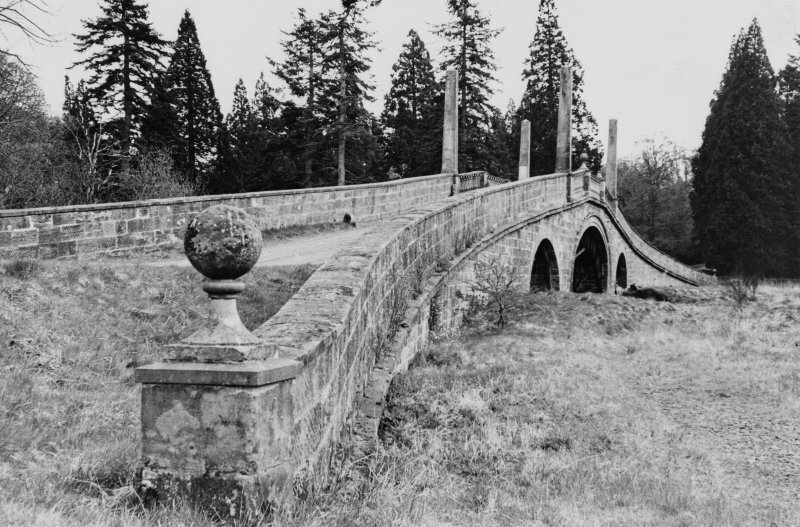 As described, and in use. 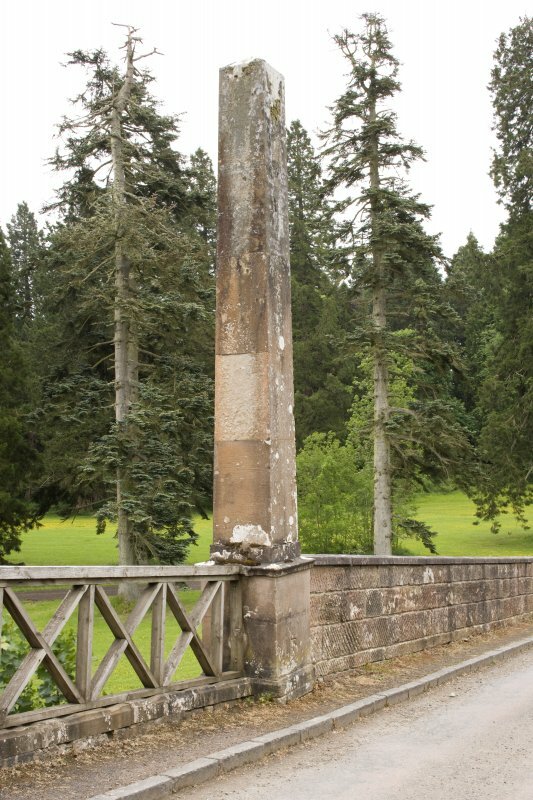 In a good state of repair.